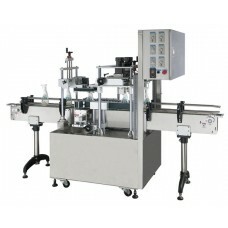 ● Semi automatic capping machine main construction by stainless steel SUS#304. ● Stainless steel conveyor frame and adjustable conveyor rail guides. ● Only hand wheel adjustments, no change parts are needed. ● Front hand wheels for adjustment the cap tighten belts. ● Wrap around belts assembly for holding the containers. ● One air compressor(1 HP) is required(prepared by buyer). 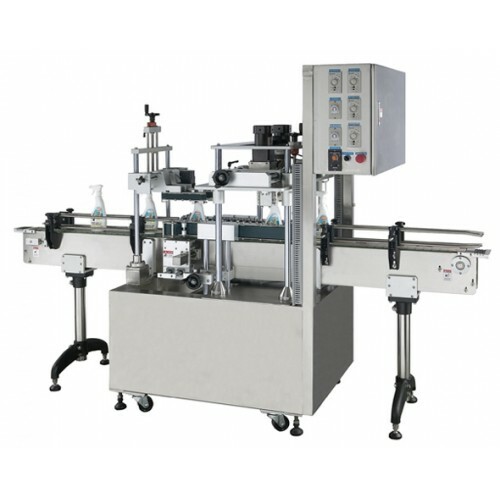 ● Cap sorter and cap chute for auto cap supplying.